Accompanies McGraw-Hill My Math Grade 4 Chapter 5 Lesson 3. This is a more student-friendly version of the "Talk About It" portion of the book, with grids next to the problems. 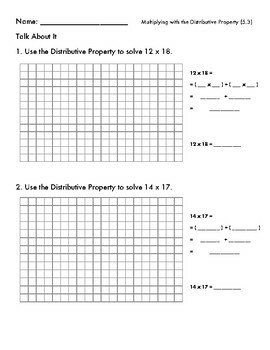 With these grids, students can use area models to get a better conceptual understanding of the distributive property.